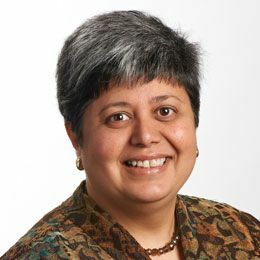 This guest post is written by Diana Bilimoria, PhD, professor at Case Western Reserve University of introducing the course Women in Leadership: Inspiring Positive Change starting today, May 15th. Google Chairman Eric Schmidt recently came into the media spotlight when he repeatedly interrupted US CTO Megan Smith during a South by Southwest panel on how to create more innovation in technology. It was in fact Google’s own Global Diversity and Talent Programs manager who directly addressed this unconscious gender bias that she was witnessing amidst a discussion around the need for more women and diversity in the technology workforce to increase innovation. Diversity in leadership can enhance innovation and creativity, improve collective intelligence, and create a more collaborative and inclusive workforce. The business case for diversity is quite clear; however, collectively, we continue to be challenged to support women in overcoming systemic barriers and challenges in their career advancement. Simply knowing that there are benefits from diversity is not enough, and increasingly, the unintentional actions that reinforce gender inequities and cumulatively accrue disadvantage are getting called out. What can be done to address these subtle yet systemic challenges that face women in their advancement? Making implicit biases explicit when they occur is certainly one way. Additionally, I suggest that self-reflection about our leadership strengths and gaps, connecting with experiences of others, developing interpersonal skills to effectively navigate workplace biases and barriers, and enacting an inclusive leadership vision can transform who we are and our contributions to others.